1. Tax Day is upon us! Today is Tax Day for the State of Maryland; tomorrow is Tax Day for the Federal Government. If you have not filed your taxes yet, you are probably going to be late. 2. 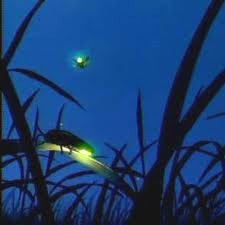 Last evening, after a day of over 80 degree temperatures, I saw the first fireflies of the year. I was truly astonished as I do not recall ever seeing them so early. I was so amazed that I made sure to get independent verification from Chris that there were in fact fireflies in the trees. 3. I made an interesting observation in the major league baseball standings yesterday morning: both the Nationals and the Orioles were in sole possession of first place in their respective divisions. I do not believe that has ever happened before. Of course the Orioles lost yesterday and now share the division lead--but it was interesting for one day at least. 4. I am still in shock about how quickly machinery can reduce a small forest into a 10 acre patch of bare land. 5. 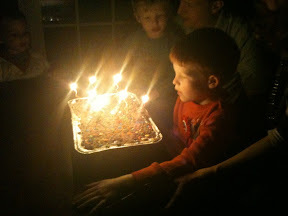 With Ethan's birthday behind us, the family birthday season has ended. We begin celebrating family birthdays in September and conclude in April. In between, there are 11 birthdays--more if extended family is counted. I guess it gives us something to do while the pool is closed. 6. And in the pool department--I ordered the chemicals for the coming year. I always feel like a mad scientist or something after I order the pool supplies. 7. 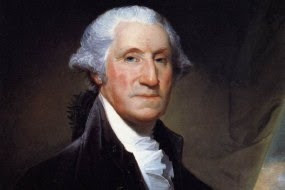 Yesterday, George Washington was selected as Britain's greatest enemy, or most formidable foe since the 17th Century. The article makes an interesting read--but essentially, Washington is the greatest enemy commander to face the British Empire! One of the rules of the competition was that the commander had to lead troops in actual combat--hence, political leaders (like Hitler) were excluded. 8. I am about to head off to the land of Mickey Mouse! The good news is that it is in Florida. The bad news is that it is no where near the beach.